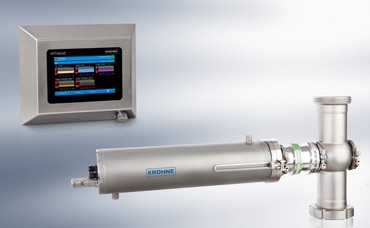 Instantaneous detection of FFA, TPM, POV moisture or dirt in edible oil and fat application is now possible with the use of a new inline continuous analyzer from the manufacturer Krohne. The OPTIQUAD-EOF 4050 W "peeks" inside the process through an optical window placed in a standard measuring section. Four standard 4-20 mA control outputs are provided for process control. Additionally, the measurement of anisidine value (AV) and iodine value (IV) are possible (application dependent). Detection of these variables have traditionally been done using conventional laboratory methods. The new inline analyzer reduces the need for sampling and the associated transport and handling which raise the probability of errors and increases cost. The optical spectroscopy analyzing method allows for a wide range of use in edible oil applications, such as oil extraction, oil refinement and frying processes up to oil recycling, as well as fat processing. For example, the continuous inline measurement of FFA content in frying oil helps to minimize the addition of fresh oil: the FFA value can be kept below a defined limit while allowing to maintain a high level of quality. The spectroscopic analysis system consists of the analyzer unit and the operating unit, both rated IP65/NEMA4X. The operating unit is an industrial PC with touch screen display. It uses up to four measuring methods (transmission, scattering, fluorescence and refraction) with up to 12 wavelengths from ultraviolet to infrared. The underlying calibration is calculated automatically from reference data specific to the application.